Do You Need to Trim Your Pet Rat’s Nails? Are your pet rat’s nails too sharp? If your pet rat is leaving long scratch marks on your hands and arms, frequent nail trimming may be of benefit to you. Technically, clipping your pet rat’s nails is not necessary unless they are hindering its movement; if your rat’s nails are getting stuck as they romp around their cage or causing cuts and scabs on their skin during normal grooming, trimming their nails is a must. 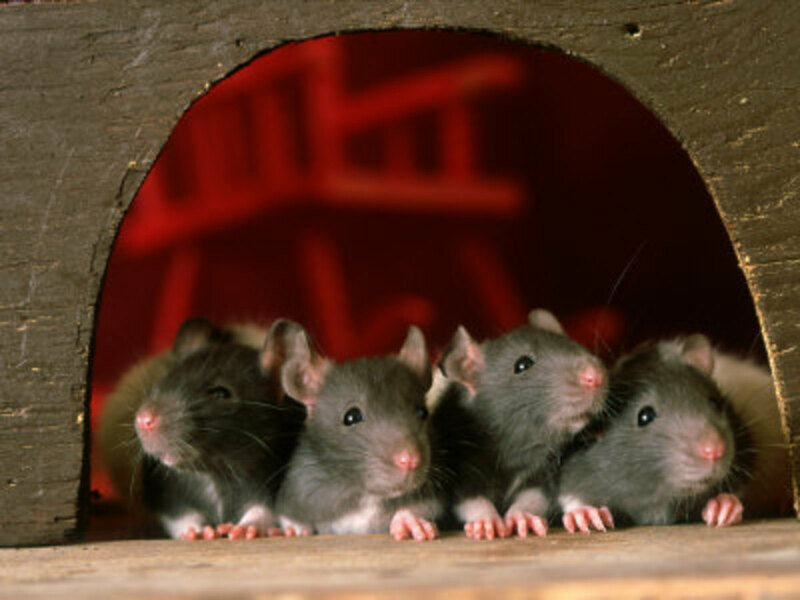 However, most rat owners trim their rat’s nails for their own comfort and the protection of their own skin. Trimming your pet rat’s nails can seem like a daunting task - when I first tried to clip my rat’s nails, I was so nervous that I almost gave up! Rat nails are small, and it is difficult to spot where the quick is. The quick is a red vein that extends from the base of your rat’s nail to around halfway down the nail itself. 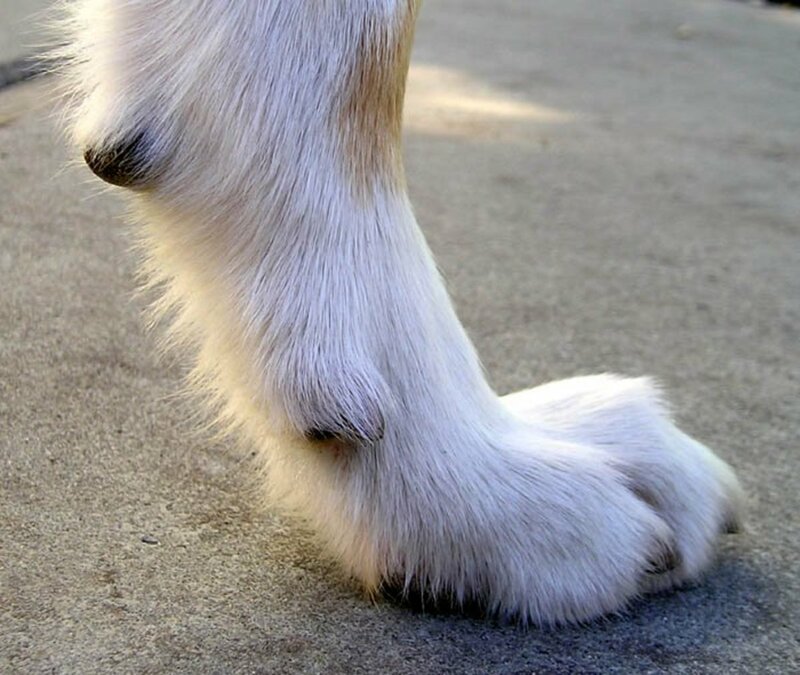 Dogs, cats, rodents and other animals all have this small vein in their nails. Cutting into the quick causes the nail to bleed excessively, and can be traumatizing to both you and your pet. 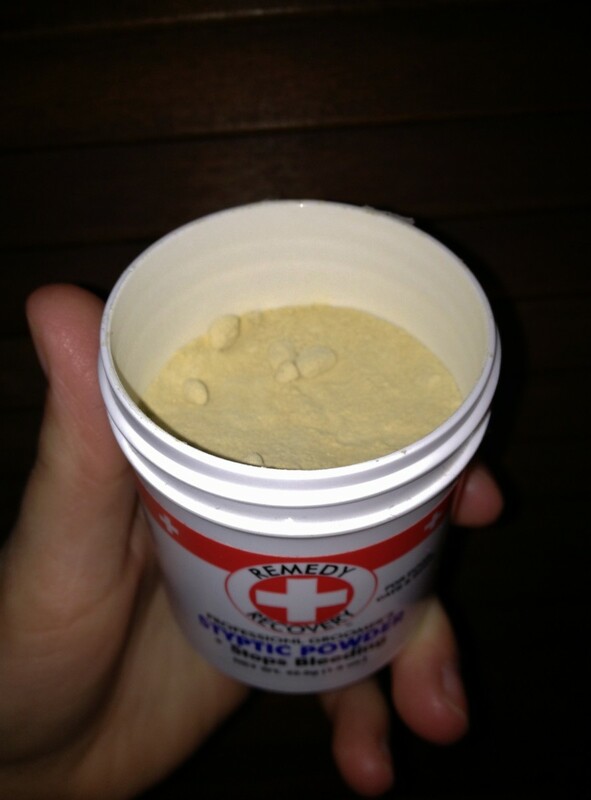 Did you know that corn starch and flour are great natural alternatives to styptic powder? If you cut into your rat's quick and don't have styptic powder on hand, apply flour or corn starch to the wound to stop the bleeding. You can use human nail clippers to trim your pet rat’s nails; they are small enough, and easy to operate. They also sell small animal or cat nail scissors in most pet stores. 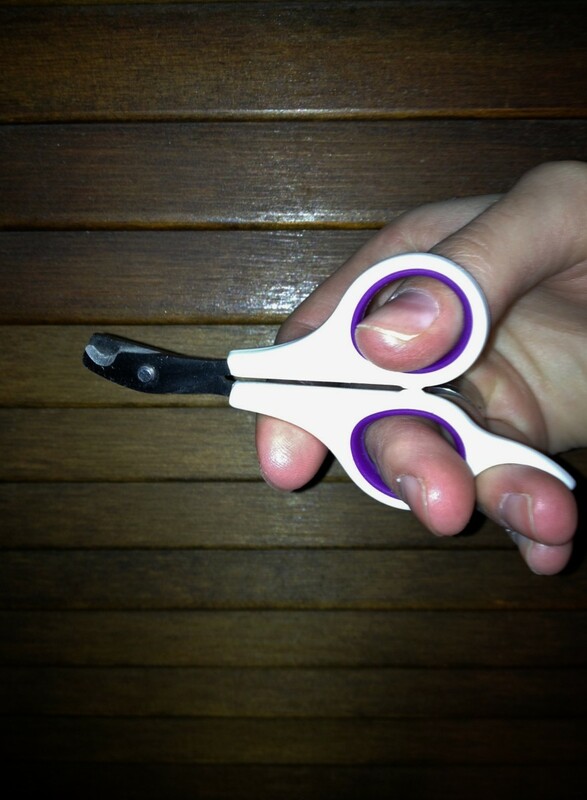 These clippers look like a small pair of scissors and provide a sturdier grip than human nail clippers. Your decision relies on your preference - either pair of clippers will get the job done. It is advised, however, to purchase some styptic powder in case of emergency. Styptic powder is an antiseptic clotting agent that stops bleeding from minor wounds. Accidentally cutting into the quick of the nail can result in an alarming amount of blood flow, making styptic powder a good solution to have on-hand. Quickly stops bleeding due to clipping nails or wings, or for minor cuts to the skin. Worth the inexpensive price tag! Finding the quick in your rat’s nails can be tough, especially in a dark or dimly-lit room. When trimming your pet rat’s nails, be sure to have plenty of light at your disposal. I use a strong desk lamp to help me locate and avoid the vein when clipping my rat’s nails. The person holding your pet rat can shield their eyes with their hand if your little friend finds the bright light bothersome. If you are still having trouble spotting the quick, you can try using a magnifying glass. Keeping your rat occupied with their favorite treats is a good way to keep them still while you search for the quick and trim their nails. Try giving them a treat that takes more than a few seconds to eat to maximize the amount of time you have. Are you ready to start trimming your rat’s nails? 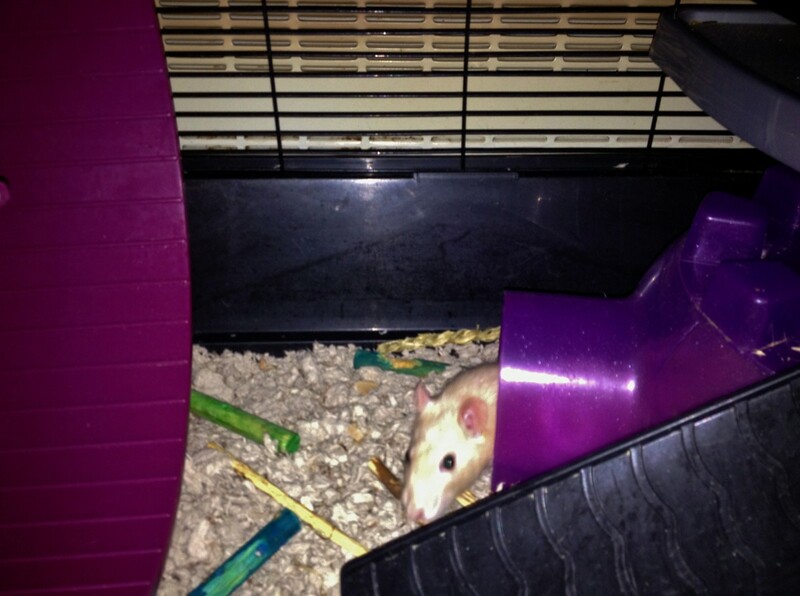 Few animals elicit such strong and contradictory reactions as rats. Learn what makes these animals unique. 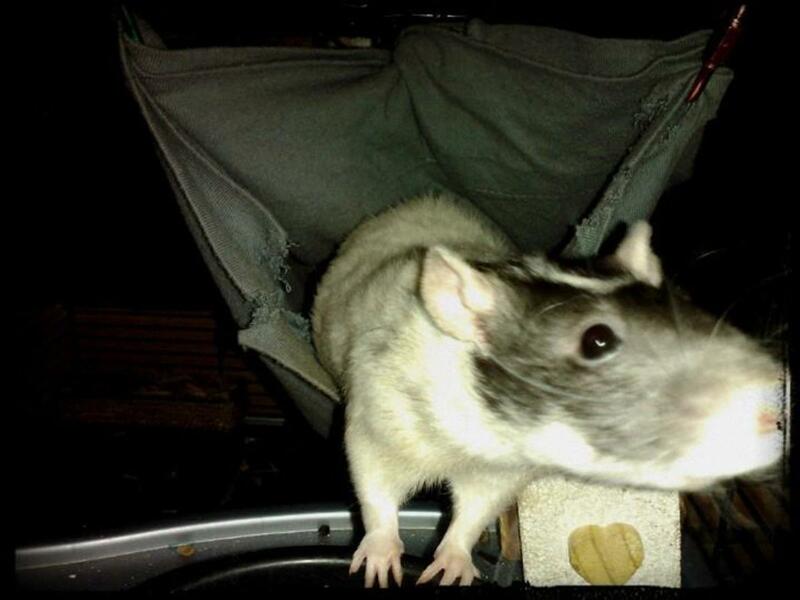 Links concerning rat care, health, diet, breeds, accessories and more! 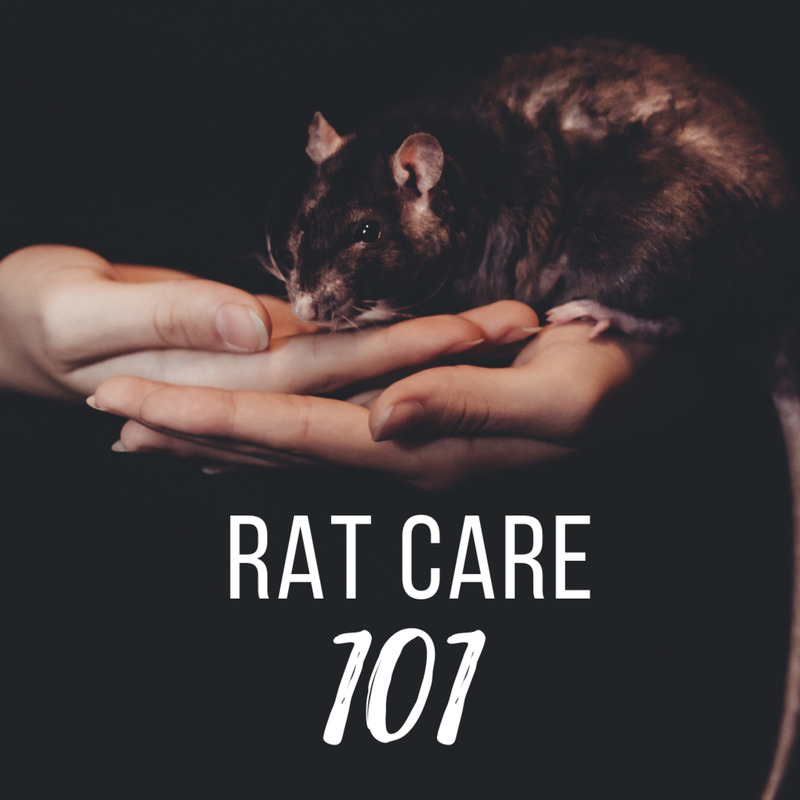 This guide contains in-depth articles on illnesses seen in pet rats, along with signs, symptoms, case histories, and treatment modalities that your veterinarian may follow. Inexpensive, professional quality nail trimmers for small animals that are easy to use and very durable. 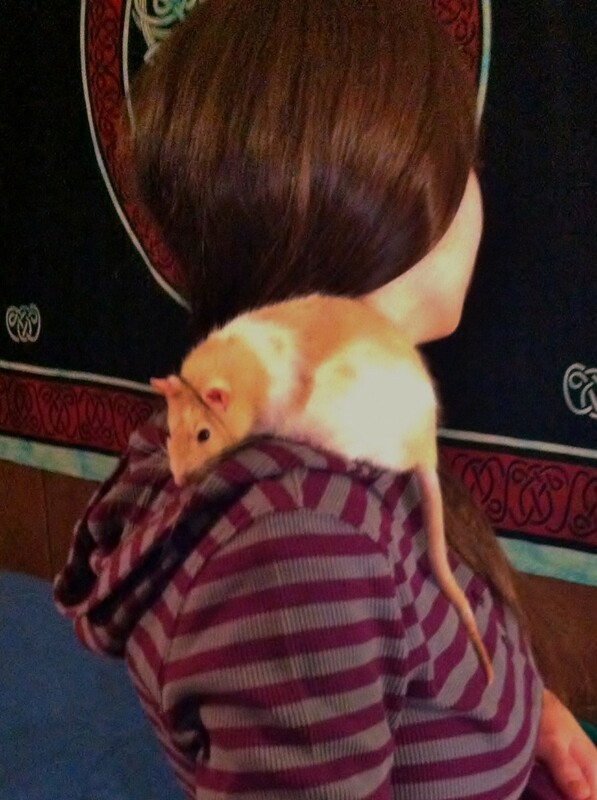 Trimming your rat’s nails is preferably a two-person job; pet rats are squirmy, energetic and unlikely to sit still while you clip each and every one of their back nails. Having another person hold your rat while your trim ensures that your rat will stay put and that your can firmly grasp your rat’s foot without incident. If the person seems nervous about it, explain that their job will be simple - all they need to do is have a firm hold on the rat, holding it close to their body while giving you access to one of the rat’s back feet. Trimming your rat’s nails is easier to do when your pet rat is sleepy or too tired to put up a fight. Try waking up your rat during its normal sleeping hours, clipping its nails after it has been running off its energy or after it has eaten breakfast or dinner. You’ll know best what time your pet rat is at its laziest. If your rat is still being too antsy, try clipping a couple of toenails at a time before giving your rat a break. You can wait a few minutes, a few hours or even a day. Try to gauge how stressed your pet rat is by the nail clipping and decide. While your partner is holding your pet rat close to their chest, take your rat’s back foot between your thumb and pointer finger. 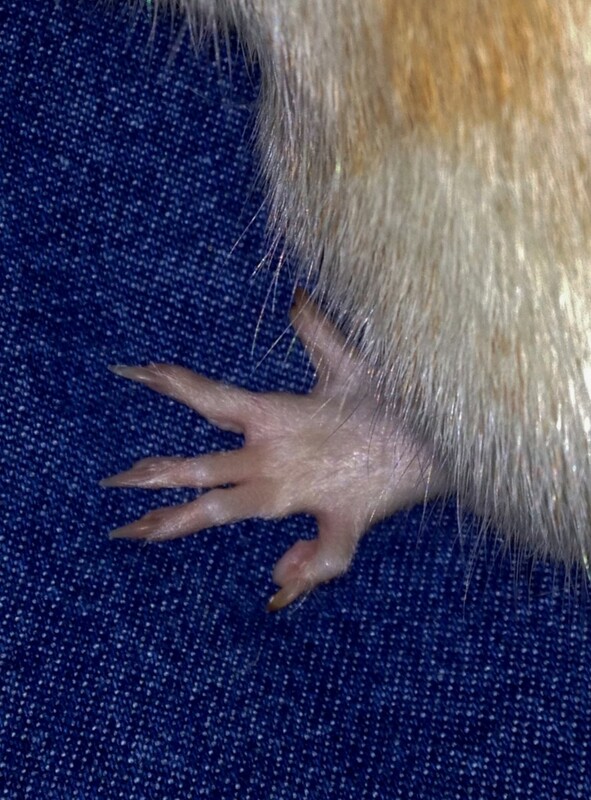 The pressure should cause your pet rat’s toes to splay apart; scoot your fingers up to get a good grasp on one of the toes until only the nail is showing. 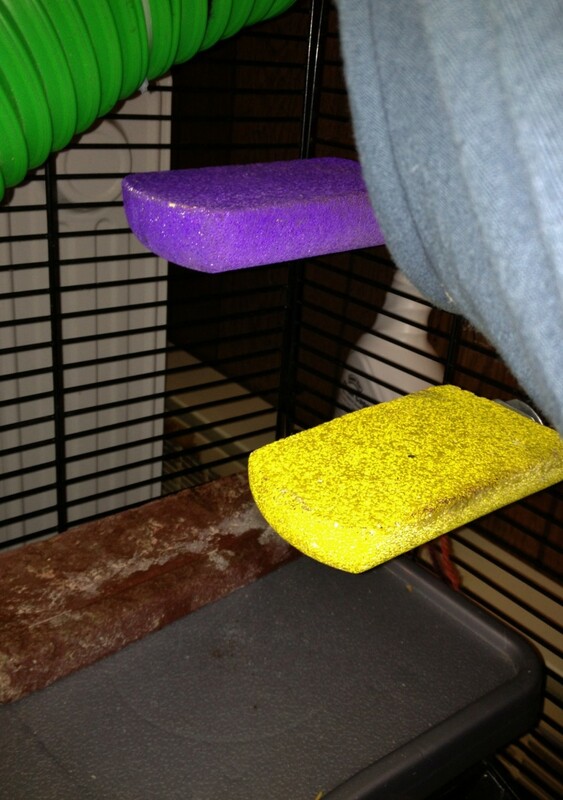 Holding your rat’s toe this way will prevent movement and accidental harm to the toe. If your rat is pulling its foot away or wiggling its toes too much, try giving it a treat to distract it or getting a firmer grip. Don’t clip your rat’s nails unless it stops moving; when it does, make the process as quick as possible. 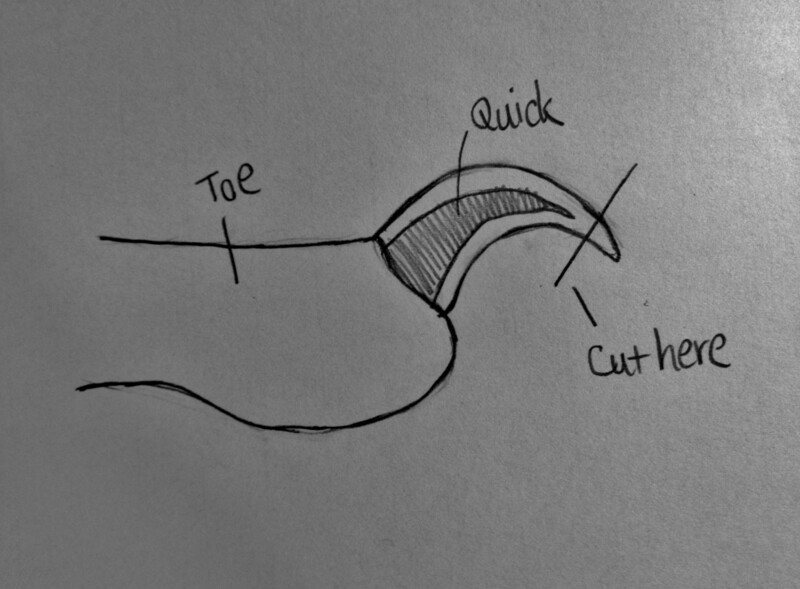 Locate the quick inside the nail and use your free hand to clip the nail just above the vein. If it is your first time clipping your pet rat’s nails, you may want to give yourself more leeway and clip even further away from the quick. Once both you and your rat become used to the nail trimming process, it will be less stressful and much easier to perform. Until you feel comfortable that you can cut close to the quick, steer clear. You can instead clip your rat’s nails more often to keep them trimmed, such as three to four times a month (as opposed to once or twice). Repeating the process will only help both you and your rat get used to nail trimming! Remember to always give your pet rat plenty of praise and treats when you are done trimming its nails. Talking softly to your rat while clipping its nails will help your rat to feel more at ease. The idea is to make trimming your rat’s nails a pleasant and rewarding experience. Who knows - your rat may even come to enjoy nail clipping time, even if only for the extra love and treats it receives! How do your trim your rat's nails? Putting bricks, rocks and branches in your rat’s cage won’t be as effective if your rats are less active or don’t climb them. Placing a brick under a frequently visited area, such as the water bottle or food dish, will ensure that your pet rat will use it more often. However, none of these are guaranteed to file down your rat’s nails. If renovating your rat’s cage this way produces no results, you can always file down your rat’s nails yourself! As with nail trimming, be sure to have another person hold your rat while you gently scrape the nail on a nail file or the rough side of an emery board. Natural mineral ledge perfect for chewing and scratching. Also gives small pets a great place to relax! Good luck trimming your pet rat’s nails! 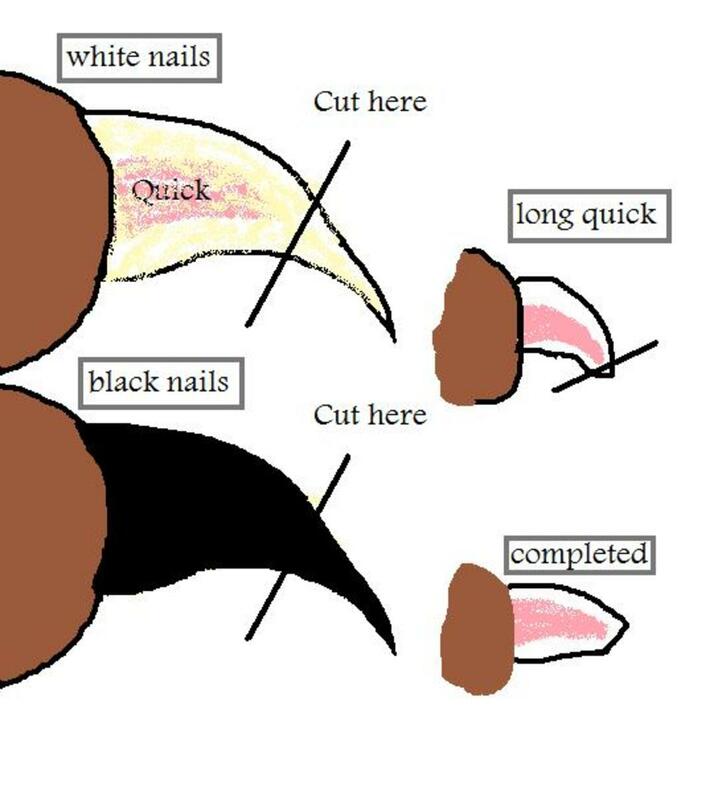 Remember to take it slow and gradually increase the nail trimming session over time. Feel free to leave any questions or suggestions in the comment section below! @dMartens47 I understand. It's definitely possible, especially with how small the nails are (and how fidgety rats can be). I would be hesitant to trim those small nails knowing there's chance of cutting it wrong. @michael It depends. 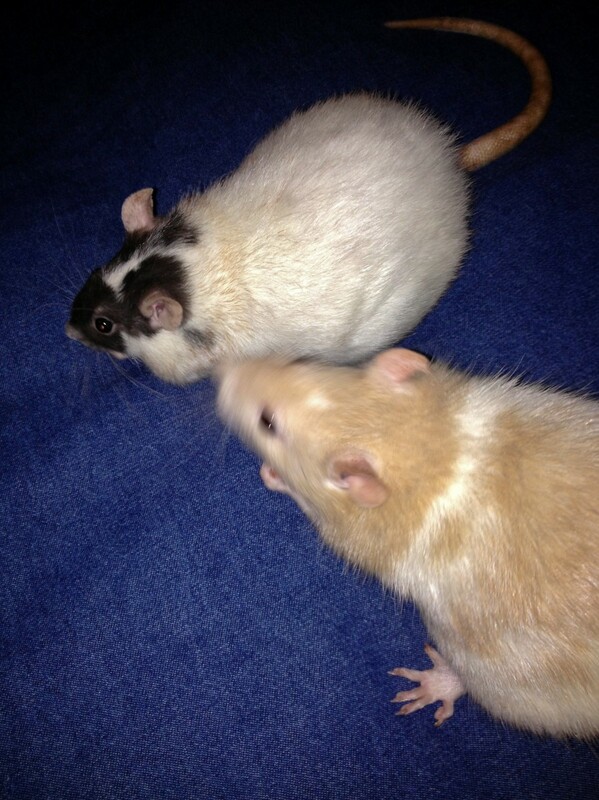 A couple of my rats would regularly groom and keep their own nails fairly trimmed. Other rats I had didn't seem to do this, or had nails that grew very quickly. 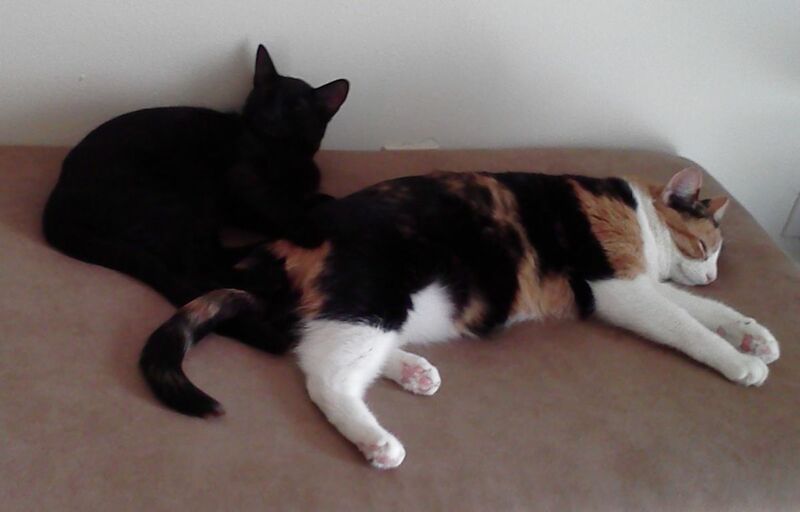 If they scratched me enough to hurt or got stuck in the carpet, I'd consider those too long. how long are rat nails? Thanks! 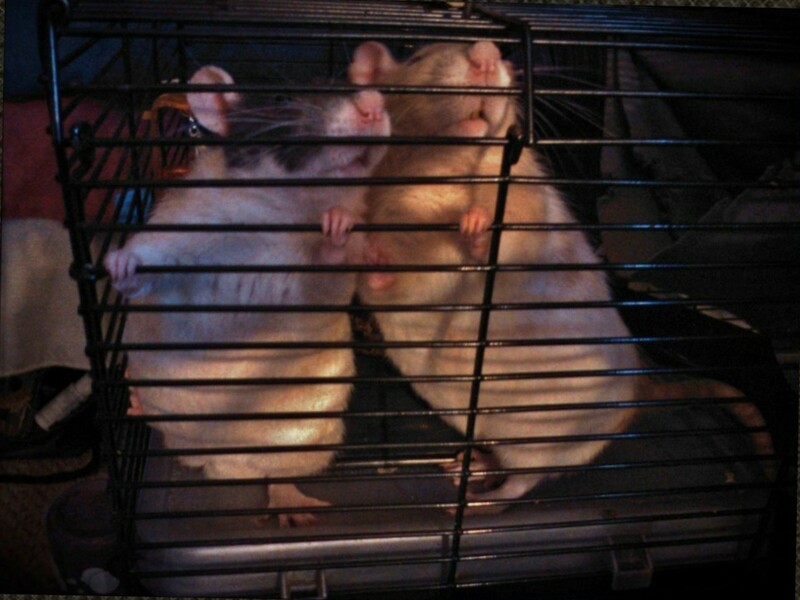 When my rats decide they don't want to come out they grip the cage bars and they are pretty strong. Usually I have no problem clipping nails, but lately Gadget (my younger girl) has decided she doesn't want me to, and that no delicious treats will fool her. What a brat. Wow, that takes talent! I can't even trim my dog's nails without a lot of drama. LOL Your pets are so adorable. I worked in a small retail store when I was a teenager. They sold rats, gerbils, hamsters, fish, etc. One day a lady came in with her son and wanted one of the pet rats. I tried to get it out of the glass tank, but it got caught on something. I remember how tedious it was to try to remove it. But it was fine and went home to a loving family. Probably not, but saying "treat" or "cookie" might actually work! Giving them treats to make them sit still works better! I couldn't resist posting back to ask if you think saying 'cheese' when you photograph them might get their attention!! Thank you so much! Getting good pictures of them is tough - they move so fast! 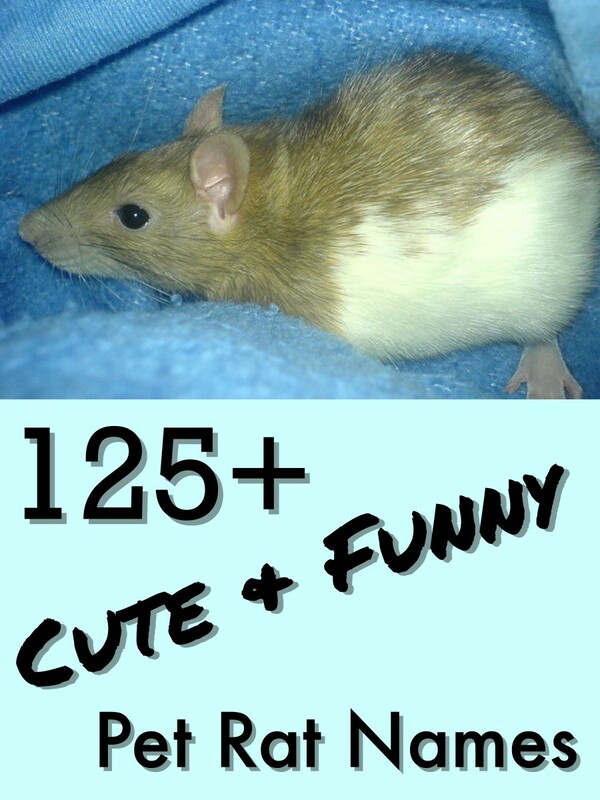 I love the pictures of your rats, so cute - very helpful information and very clearly explained. Voted up and pinned! Thanks! They use their cuteness to their advantage, that's for sure. Glad you liked it!